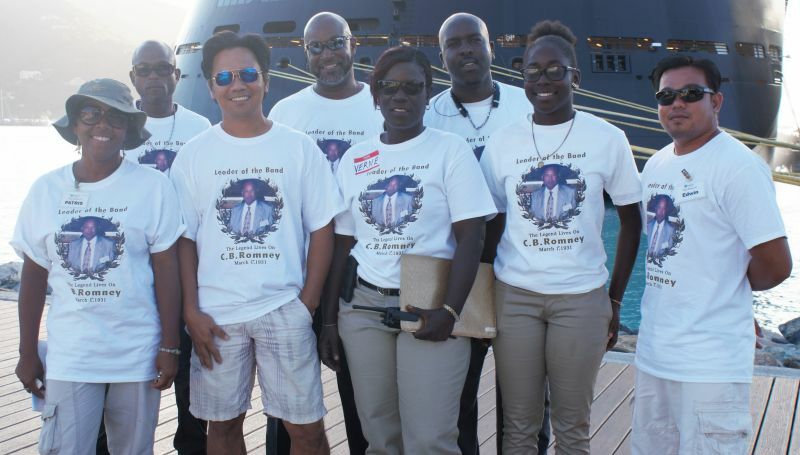 Employees across the group wore white T-shirts bearing the theme, “Leader of the band, the legend lives on: C.B. Romney, March 1st, 1931,” surrounding a head shot of Mr Romney at the front. In particular, with two major cruise ships visiting the territory the same day, ROMASCO staff members at the Tortola Pier Park were smartly dressed in their T-shirts and quickly became noticeable, sparking many conversations about Mr Romney, who was Chief Minister from 1983 to 1986. After an early career as a teacher, Mr Romney’s studied Economics, achieving a Master’s Degree; he served for 27 years in the Civil Service; he was a member of the then Legislative Council (LEGCO), now House of Assembly, from 1979 to 1995; and he was the first VIslander to hold the post of Financial Secretary. Mr Romney passed away on July 19, 2007. The day at the ROMASCO group concluded with a cake cutting ceremony at the Pier Park attended by staff and friends of Mr Romney. 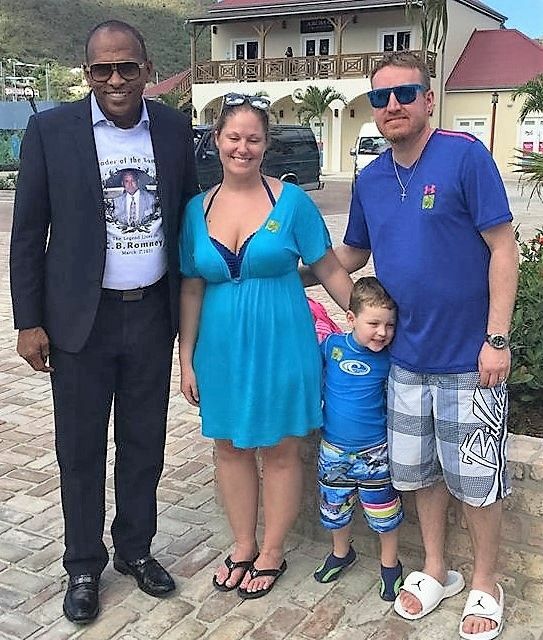 Reflecting on the life of her dad, Director of Operations Ms Patricia M. Romney said it was pleasing to spend the day at work with employees who also recognise his invaluable contributions over the years and are committed to keeping local tourism on the cutting edge. 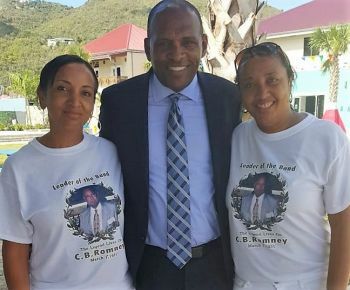 “It is still very often tough work for everyone on a daily basis, but no doubt my father paved the way for us, and I am honoured to be able to pay tribute to him on what is obviously a very special day for everyone in the family,” said Ms Romney. Meanwhile, Minister for Communications and Works Hon Mark H. Vanterpool (R4) recently announced that Government would be paying tribute to Mr Romney at the Pier Park.